3 Palms is a charming Scottsdale hotel that will impress guests from their first step inside. 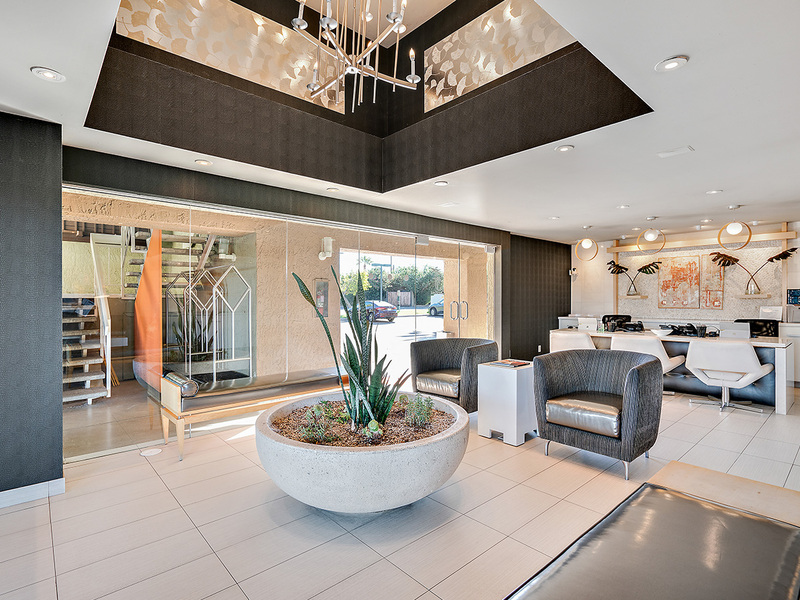 A gorgeous ivory lobby welcomes visitors inside and the friendly staff makes sure guests are happy throughout their stay. 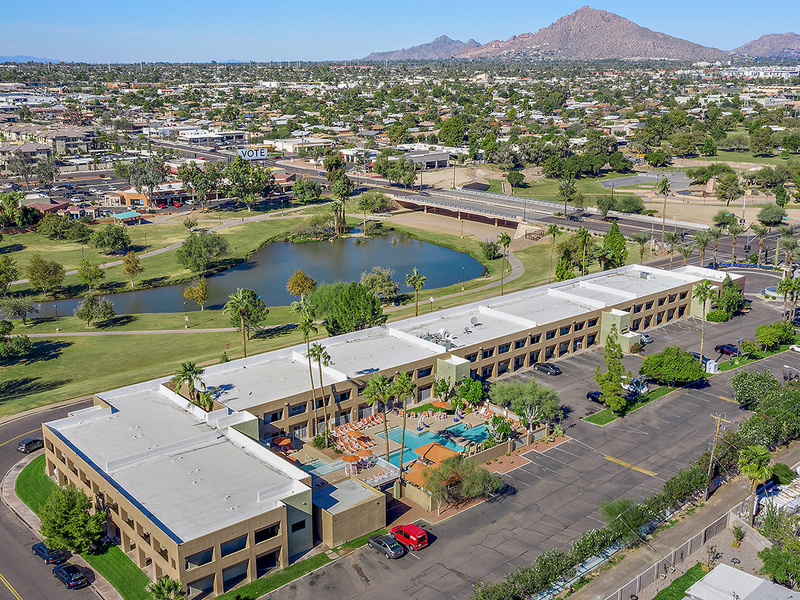 This has become one of the favored hotels in Scottsdale due to the helpful service, comfortable deluxe rooms and suites and the on-site and surrounding recreational options. 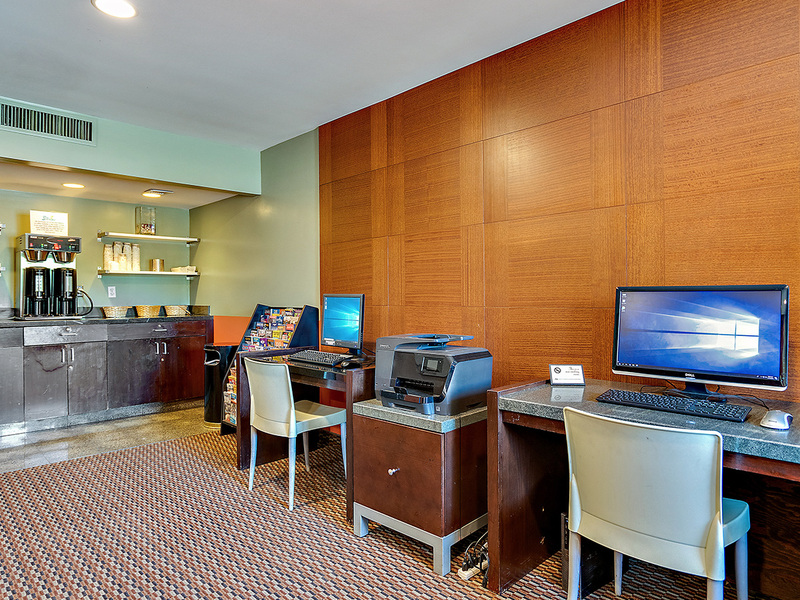 Whether your trip is for business, pleasure or a little of both, 3 Palms will successfully accommodate your wants and needs during your stay. Guests will be pleased by the overall quality at this top hotel Scottsdale has to offer. Step inside the luxurious lobby at this resort-like Scottsdale hotel and escape into a pristine vacation destination. 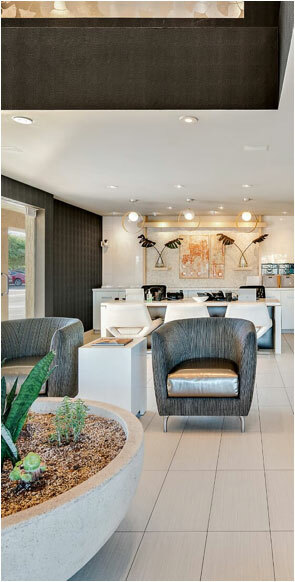 Shiny off-white walls are adorned with textured curtains, plants in vases, artwork, shelved trinkets and swirly lights. 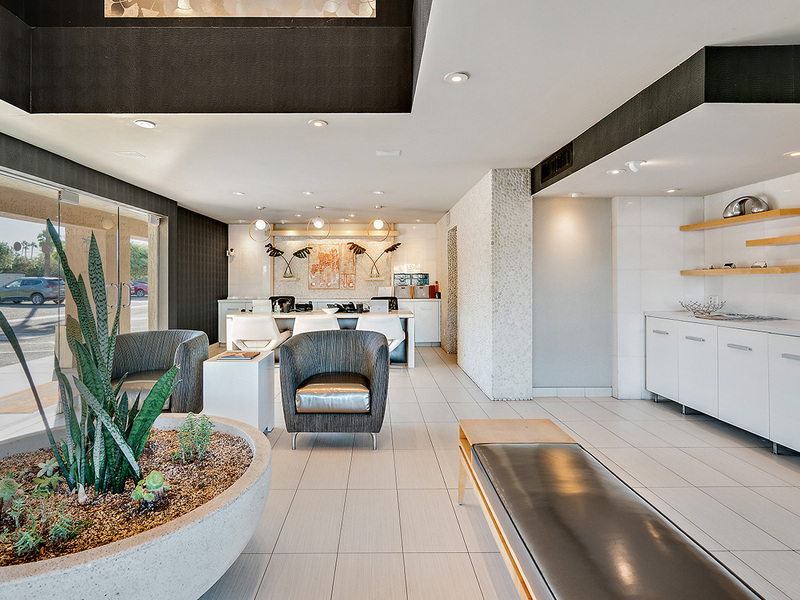 Ivory upholstered chairs and benches sit around a large cactus planter as the room's main centerpiece. Representative of the southwest, the decor and artwork add culture to the serene lobby at this favorite Scottsdale hotel. 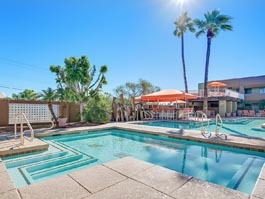 From the first moments spent inside 3 Palms, it's apparent why it's considered one of the best choices in Scottsdale. 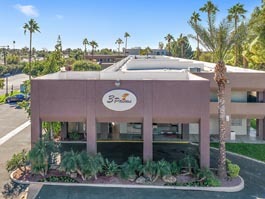 One of the most important aspects of any stay away from home is the quality of comfort provided in guestrooms, and 3 Palms is at the top of the list of hotels in Scottsdale when it comes to its accommodating rooms and suites. 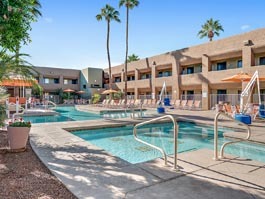 Deluxe rooms include lavish queen and king-sized beds adorned with 400 thread-count sheets, down comforters and plush pillows, allowing guests to slip into a sleeping wonderland each night of their stay at this delightful Scottsdale hotel. 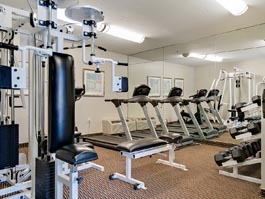 Rooms also include work desks, wireless internet access and phone lines for the convenience of business travelers. Business and leisure guests will agree this is the most welcoming hotel Scottsdale offers. 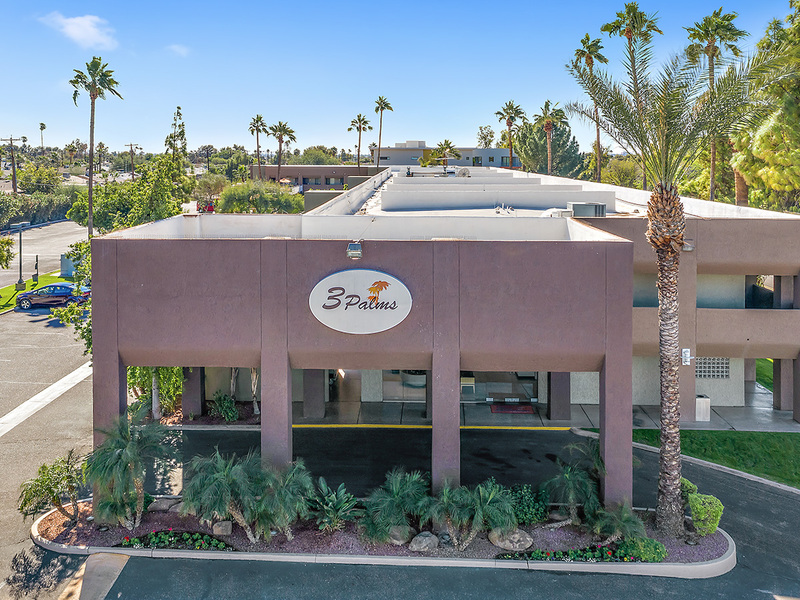 Parlor suites at the 3 Palms include all the comfort of guestroom amenities along with added space for families and guests on long-term trips. 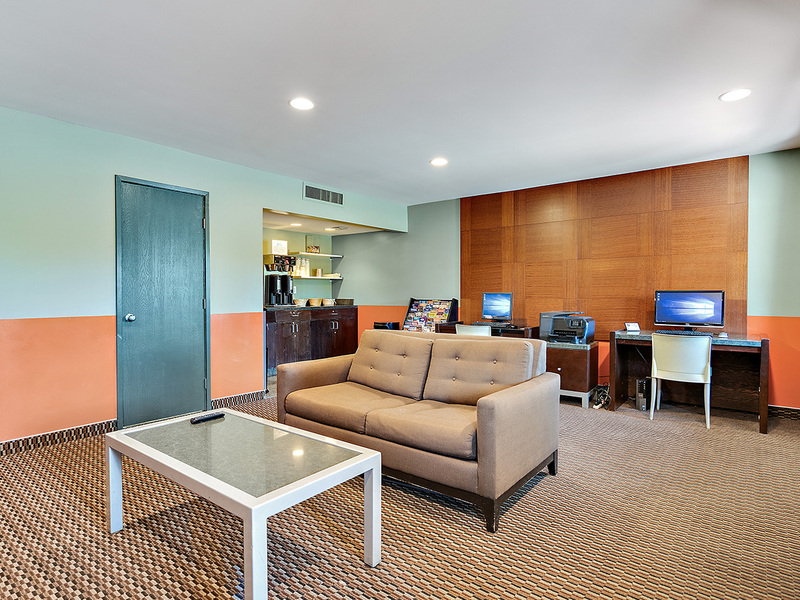 We provide a home-away-from-home feel, these parlor suites include kitchens with all the necessities to prepare full meals and dining space to eat them in. 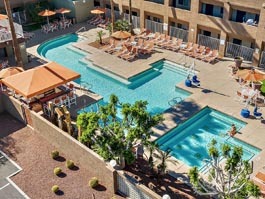 Some rooms include additional living space and whirlpool tubs built for two. Guests can enjoy their morning cup of coffee while gazing out to the garden and pool area or surrounding mountains. 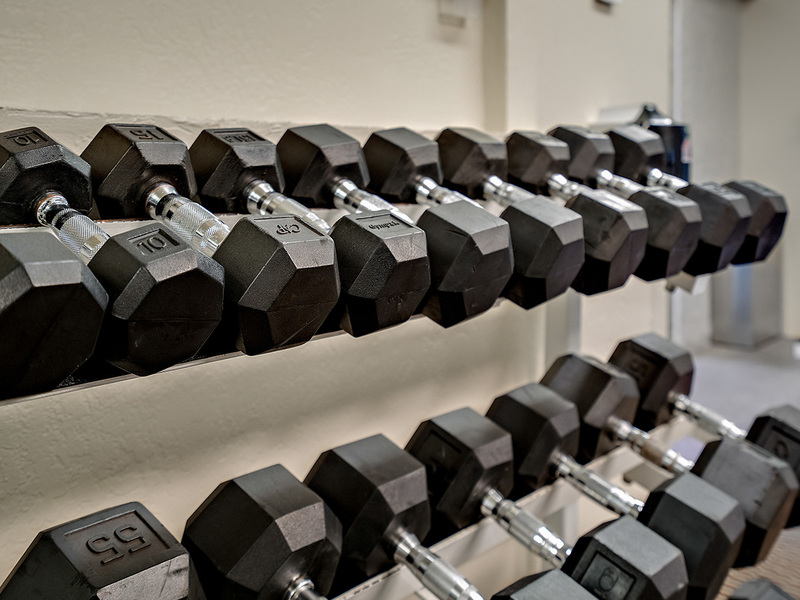 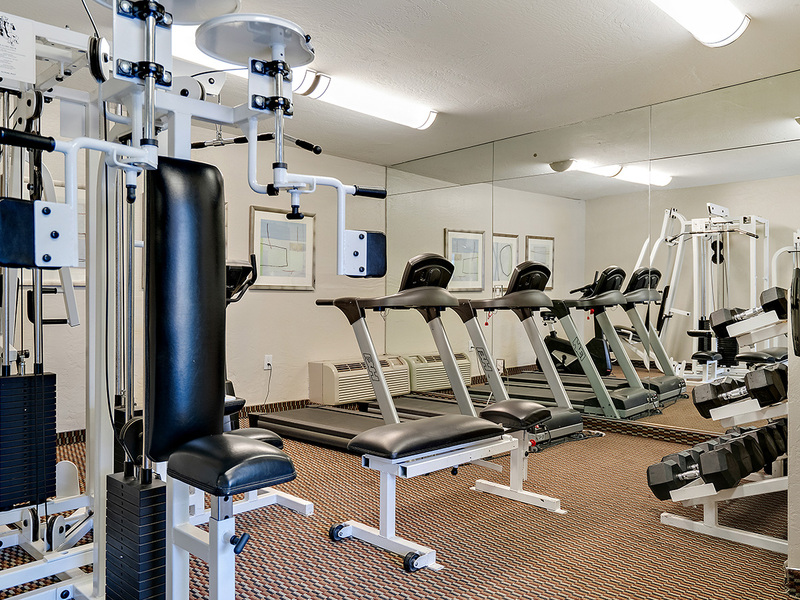 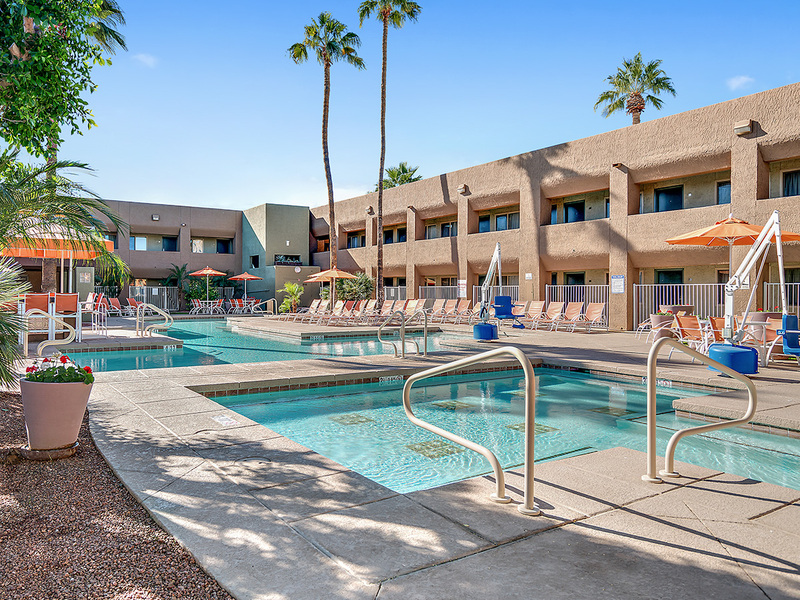 Enjoy the many amenities provided at one of the favorite hotels in Scottsdale when you stay at 3 Palms. 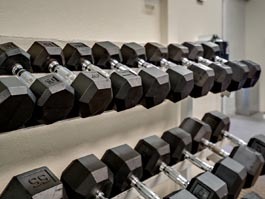 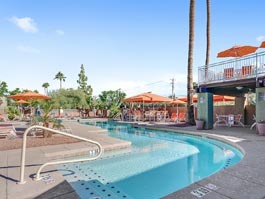 Besides extreme comfort and a welcoming staff, 3 Palms is one of the most desired motels in Scottsdale due to the recreation provided here and near. 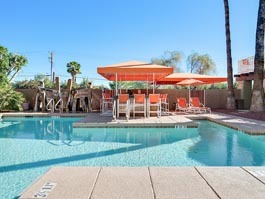 Two pools are available for guests of this Scottsdale motel, with lounge chairs, tables and umbrellas. 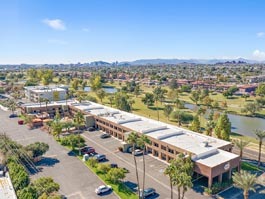 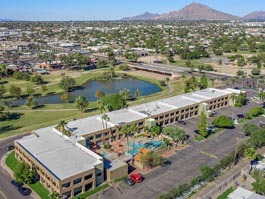 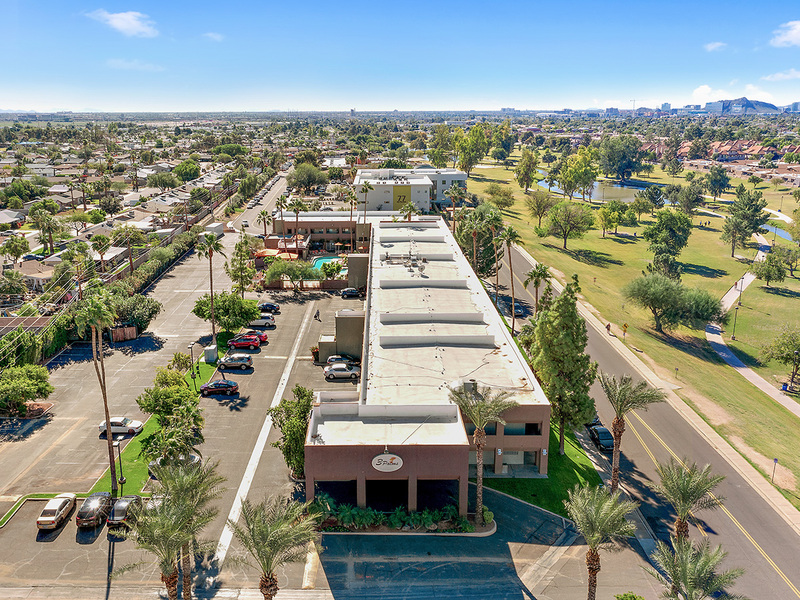 Active guests will appreciate El Dorado park, located adjacent to this Scottsdale motel. 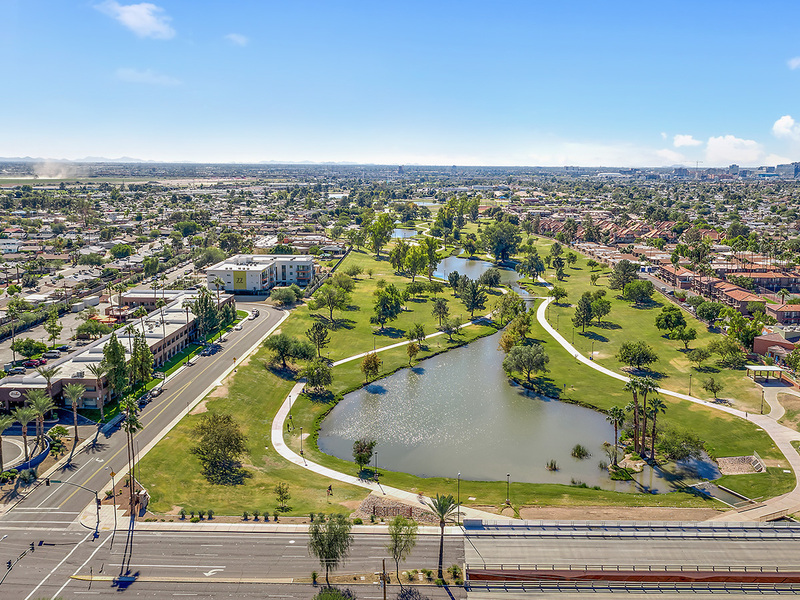 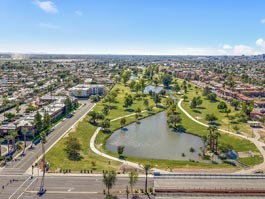 A skate park, bike trails, open space for running, playing Frisbee and other activities are provided in this 60-acre park. Enjoy the fresh air and beautiful Arizona landscape during your stay at the 3 Palms hotel.